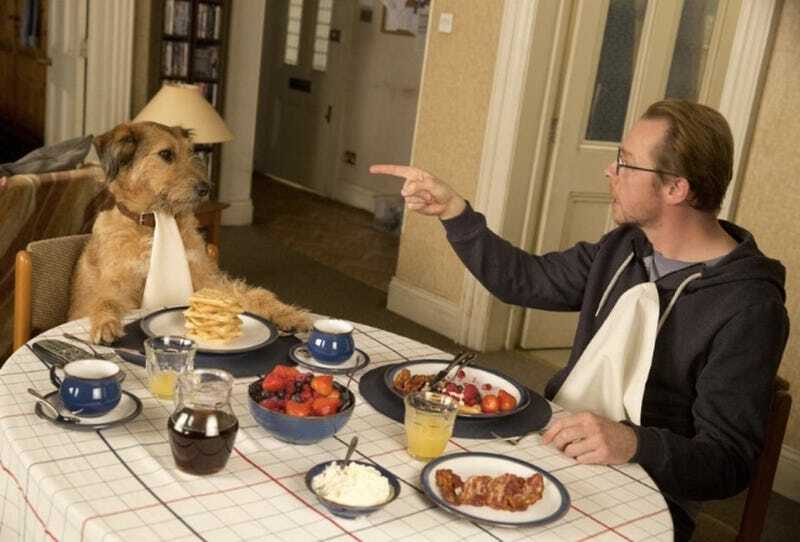 Here's your first look at Simon Pegg in Absolutely Anything. But more importantly, this alien film also stars Terry Gilliam, Michael Palin, Terry Jones and John Cleese, so it's a Monty Python reunion, basically! Kind of! The premise is simple: Pegg plays Neil Clarke, who is a disillusioned school teacher who suddenly finds he has magical powers bestowed upon him by aliens, who are voiced by the Monty Python gang. The Terry Jones-directed feature will debut in the summer of 2015, but until then we have a few stills via Empire to get us excited about future alien buffoonery.